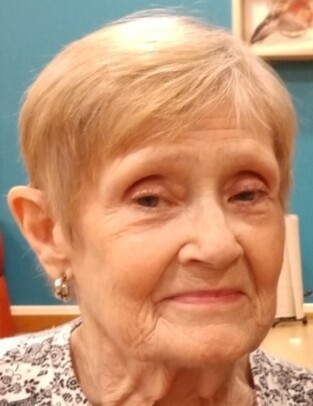 Daisy Mae Allen, 77, wife to the late James G. Allen, passed away on Wednesday January 30, 2019 surrounded by her family at Sts. Mary & Elizabeth Hospital. She was born to Bryan and Lucinda Martha (Embry) Baize in Fordsville, Kentucky on May 19, 1941. She is also preceded in death by siblings, Mary Embry, Linda Baize, Ray Baize, Carolyn Baize, and a great-grandson, James Patrick Allen. Daisy loved to play bingo, eat chocolate but most of all she loved her family and their family gatherings. She leaves to cherish her memory her daughters, Connie Allen, Darlene Allen, Sharlene Cunha, grandchildren, Tony Allen (Sara), Jimmy Allen (Candice), Jessica Bartley, and Seraphina Cunha (Trevor). She will also be missed by her great-grandchildren, Dawson, Trinity, Grayson, Jaila, Karmen, Laylah, Mya, Olivia, along with her siblings, Michael Dale Baize, Debbie Jo Carrathers, Roger Baize (Geraldine), Vincent Baize (Susan) with many nieces and nephews. She will also be missed by her fur babies, Benji, Queenie, Thumper and Sally Jessie. A celebration of Daisy’s life will be held at a later date.